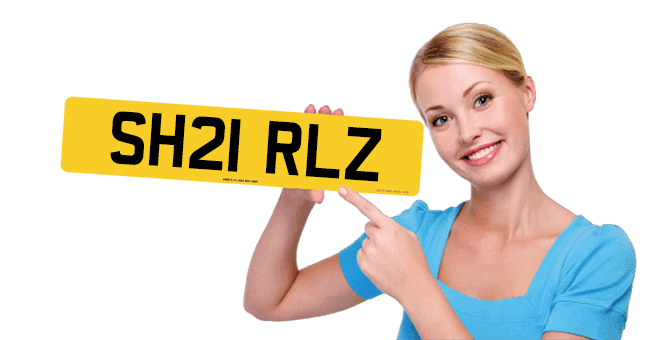 Personalised registrations are no longer the preserve of the rich and famous and here at Plates4less.co.uk our whole aim is to help you find yours at a lower price than you thought. There are literally millions of personalised plates and cherished registrations to choose from and many laws and transfer procedures to comply with. To help you we have devoted this private numberplates web site to making the searching easy and to keeping you informed. Just use the "Find Number Plates" link at the top of this page. We hope you’ll take the time to use them and have fun finding some amazing plates. There are even more to be found by clicking this link and..
Short of ideas? Don’t worry just click here to visit our ideas and suggestions pages From many years of customer feedback you’ll see that there are hundreds, if not thousands of ways you can design a truly personal number plate and make your vehicle look extra special. Most of our clients know very little about buying and owning cherished personalised number plates so we have developed a highly informative Frequently Asked Questions area which you can visit by clicking here . Even though our highly trained customer advisors and transfer administrators will take all the worries out of the purchase and transfer process for you, we still feel you may like to know the facts, and it’s definitely worth taking the time to find out about the law and how this can affect you. We hope you enjoy you visit to our web site and enjoy the process of searching for your personalised registrations.